Many people are looking to live longer, cleaner lives to feel great and look their best as they age. By incorporating healthier foods and increasing mobility, it will help to boost energy and reduce the risk of illnesses and health conditions. With a few easy lifestyle changes, it can be easy to transform your life and feel just as good as you look. Juicing is the latest fad in recent years, and for good reason. By juicing different types of raw fruits and vegetables, it works to boost energy levels, enhance nutrients and vitamins in the body, strengthen nails and hair, lose weight, and reduce the risk of cancer. It’s an easy way to consume the recommended six to eight vegetable servings a day and reduce the risk of diabetes, along with lower cholesterol. Organic food consumption is on the rise for the higher amount of nutrients it contains and the lack of dangerous pesticides and sprays, which are meant to kill pesky insects and rodents, but ultimately are ingested by the consumer. Conventional broccoli contains 33 pesticides, which include 19 hormone disruptors, ultimately limiting the long-term benefits of eating fruits and vegetables. 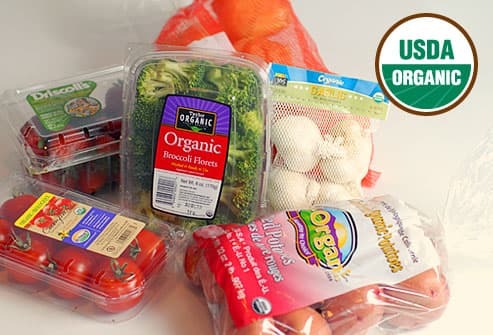 Look for the “USDA Organic” seal on produce and packaged products to ensure the produce was grown naturally. To shed extra pounds and increase circulation, it’s important to incorporate different types of cardio and weightlifting into your schedule for a slimmer figure and a boost of energy. Between going on walks, visiting the gym, and participating in outdoor sports, it can be easy to make exercising a normal part of your lifestyle without becoming bored. Not only does exercising keep the body healthier, but it releases endorphins for more peace of mind, less stress, and happier moods throughout the week. Although many people believe that the recommended eight glasses of water should be consumed a day, it actually depends on the person’s gender and size. The Institute of Medicine recommends drinking nine cups of water for women and 13 cups of water for men. Reduce your intake of sodas, sugary artificial juices, and energy drinks while supplementing it with more H20. Almost every type of food is packaged and pre-made, between flour tortillas to granola bars. Although it promotes convenience and saves time, the food items normally contain preservatives, additives, and dyes that can lead to cancer, ADD, asthma, and other medical conditions. By making your own food and switching to simple ingredients, it will make for cleaner food that will even taste better. Limit alcohol consumption to lower blood pressure and promote weight loss. Excessive alcohol can also harm the brain, liver, and heart, while helping to promote sleep and reduce the risk of depression. Between peanut butter to yogurt, a large majority of the packaged foods we consume contain sugar as one of the primary ingredients. Read the nutritional label before purchasing products and avoid anything that lists sugar in the first three ingredients of the product. Also, switch to coconut sugar when baking, and opt for using Stevia in coffee or tea. Not only does meditation work to reduce stress, it can also be a way to clear the mind and focus on peaceful thoughts. It will not only work to re-energize your body and mind, but can help you live longer just by incorporating 10 minutes a day into your schedule. Stretching for 10 minutes after waking up works to increase circulation and reduce tension in muscles, resulting in reduced stress. It also improves flexibility and enhances athletic performance for better workouts with a lower risk of injury. Almost all of the meat on the market contains harmful steroids and antibiotics that were once injected into the animal as it was raised to artificially enhance its size at a fast rate. Carefully purchase packaged meat that was grass-fed and organic to ensure that the animal was treated fairly and does not contain harmful ingredients. Colorful plates are the healthiest as they often contain plenty of vegetables and fruits for a natural and healthy meal. Meals that are heavy in starches, carbohydrates, and fats are often dull in color and contain a limited amount of nutrients. Apply sunscreen religiously every morning to your arms, legs, and the face for protection against UV rays. It will not only prevent sun damage and skin cancer, but will prolong the effects of aging for beautiful and youthful skin. Choose a sunscreen with an SPF of 30, as higher amounts do not offer further protection and simply contain more chemicals. In 2012, processed meat was deemed too dangerous to consume as it contain sodium nitrate to preserve the condition for several weeks or months. Over 7,000 studies were done to prove that sodium nitrate is linked to cancer and can eventually lead to death. Avoid consuming hot dogs, lunch meat, pepperoni, sausage, and ground beef, opting for natural meat instead. This Healthcare Guide Is Proudly Brought To You by Providence Orthopaedics, a Singapore leading sports clinic specializing in shoulder pain treatment and chronic joint pain.